There has been a significant shift in the IT industry, from delivering software tools to delivering managed services. The shift stems from a larger, macro trend for organizations to focus on their core competencies, while all else is outsourced or automated. The theory is that there is very little value to organizations by allocating resources on areas that aren’t core to their mission. Oftentimes, those multitudinous tasks in IT have very little to do with the product or service the organization sells, but more to do with just running the business. Securing the WiFi infrastructure by integrating it with a directory service through a FreeRADIUS server is one such task. Managed FreeRADIUS services are available as part of SaaS-based Directory-as-a-Service platforms. FreeRADIUS is a core component of managing user access to the network and network infrastructure equipment. It sits as a middleware layer to translate between network infrastructure and the core user directory. The open source solution was introduced in the late 1990s and has garnered a tremendous amount of use. It is often cited as the most popular RADIUS server available. FreeRADIUS integrates with popular WiFi access points to enable authenticated access to the network. User credentials are securely passed to the RADIUS server which in turn integrates with the directory service confirming a user’s credentials. This process ensures that users are uniquely authenticated to the WiFi network as opposed to using shared credentials. Without this, most WiFi networks are secured with only an SSID and passphrase. Those shared credentials can then be easily compromised, and as a result WiFi networks are less secure. By leveraging FreeRADIUS, IT admins can dramatically step-up their WiFi security. 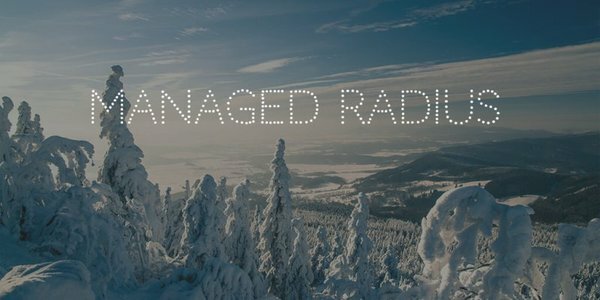 The challenge has always been integrating and running all of the components to achieve an increased level of security, therefore a managed FreeRADIUS offering is appealing. Identity-as-a-Service platforms are embedding FreeRADIUS servers into their infrastructure which allows IT admins to simply direct their WiFi access points to the virtual FreeRADIUS server in the cloud. The integrated cloud-based directory service houses user identities, so it is a seamless process for IT admins to increase their WiFi security. In fact, even organizations that leverage Google Apps can integrate those same Google Apps identities into the WiFi authentication process. Users experience no change in their login process. In addition, SaaS-based DaaS platforms incorporate RADIUS-as-a-Service that offloads the heavy lifting of implementing FreeRADIUS, increasing an organization’s security. If you would like to learn more about Directory-as-a-Service and how it’s integrated functionality of central user management, LDAP-as-a-Service, True Single Sign-On, RADIUS-as-a-Service, device management, and more can help your organization, drop us a note. Or, feel free to give JumpCloud’s DaaS a try for yourself. Your first 10 users are free forever.